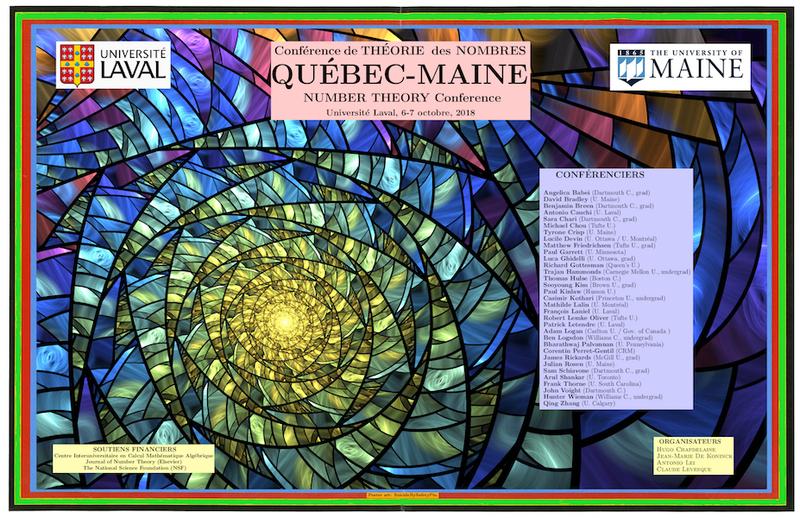 The 2018 Québec/Maine Number Theory Conference was held on the weekend of October 6-7 at the Université Laval in Québec. Organized jointly by faculty at UMaine and ULaval, it featured lectures by an international group of mathematicians who do research in number theory. More information may be found on the conference website.